Experience the restorative power of healing hands when you enjoy massage therapies at Jeeva Beloam. Inspired by our rich cultural heritage, the Jeevaniya Massage Beruga offers a variety of natural traditional Indonesian massage treatments. Relax and enjoy Indonesia at its best with traditional massages from the archipelago that have been handed down from generation to generation. 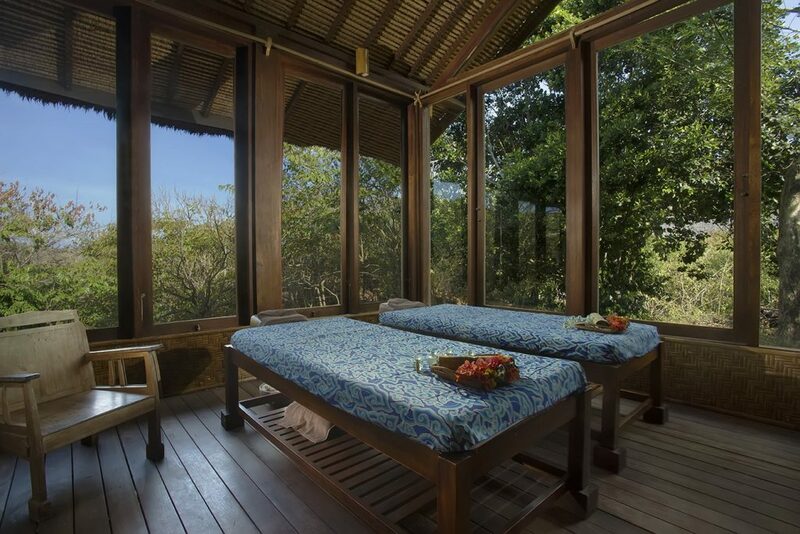 An ancient traditional healing massage from Java, an island steeped in mystery, culture and ritual. This treatment uses push and stroke techniques, focusing on easing muscle and joint pains and improving blood circulation. A massage practiced for hundreds of years by the local Balinese. The technique combines gentle stretches, skin rolling and the unique Kecak elbow slide creating a delightful vibrating sensation across your back. The treatment creates a relaxed state of mind, reduces stress and rebalances the body. A perfect treatment for those with sleep disorders. A classic healing ritual from the island of Madura. Done on a floor mattress, this unique treatment involves strong foot pressure on the legs and back with muscle stretching to relieve muscle tension and improve blood circulation. The most traditional local technique that combines kneading, long strokes, stretching, acupressure, skin rolling and pressure by the palm and thumb. The goal is to improve your blood flow and enhance your “Qi” or centre of energy. This massage that will calm your senses and fill you with deep relaxation. Recommended only if you who are accustomed to very strong therapeutic pressure massages. Please note: All spa treatments are subject to 21% government tax and service charge.